Video assignments use the normal Blackboard assignment tool, however, don’t upload the video file in the same way as you would a Word Document or PDF. If you are using the computers at Aston, do not use Internet Explorer or Edge as you will not be able to complete your upload. You will need to follow the steps below using Google Chrome. You must upload on a laptop/desktop computer. You cannot upload using a mobile phone/tablet. Kaltura will accept most video formats and types (MOV, MP4, WMV etc. There’s a full list on their support site). This will not upload it to Kaltura. You must follow the below instructions carefully. Click Write Submisssion – do not click Browse my Computer. This will reveal the content editor, below. If the toolbar consists of one row of icons, as below, click the Show More icon. This opens the Kaltura window. 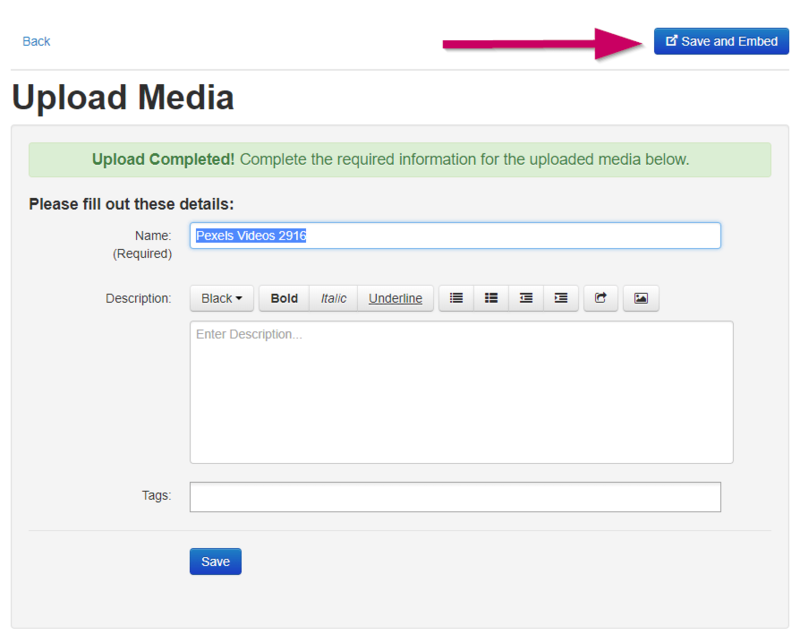 Click Choose a file to upload to select the file to upload. If you are uploading a large file, this may take some time. Be patient and wait for the screen below. Fill in the required information in the form (it will take the video name from your filename), then click Save and Embed. You have not finished the submission process yet! This completes the upload to Kaltura, but does not submit the assignment to Blackboard. 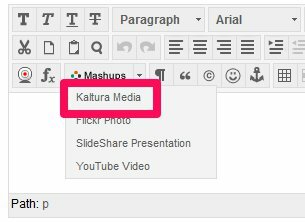 Your existing Kaltura videos are listed on this screen. If you need to preview a video, you can click the thumbnail. Locate the video you want to use, and click Select next to it. Be patient and allow time for Kaltura to process your video. Have you been asked to submit other files along with your video? E.g., if the video is of your presentation, your lecturer may have also asked you to attach the presentation PDF/PPT file, or some other supporting files, to your submission. If so, you can do so in the usual way by clicking Browse My Computer. 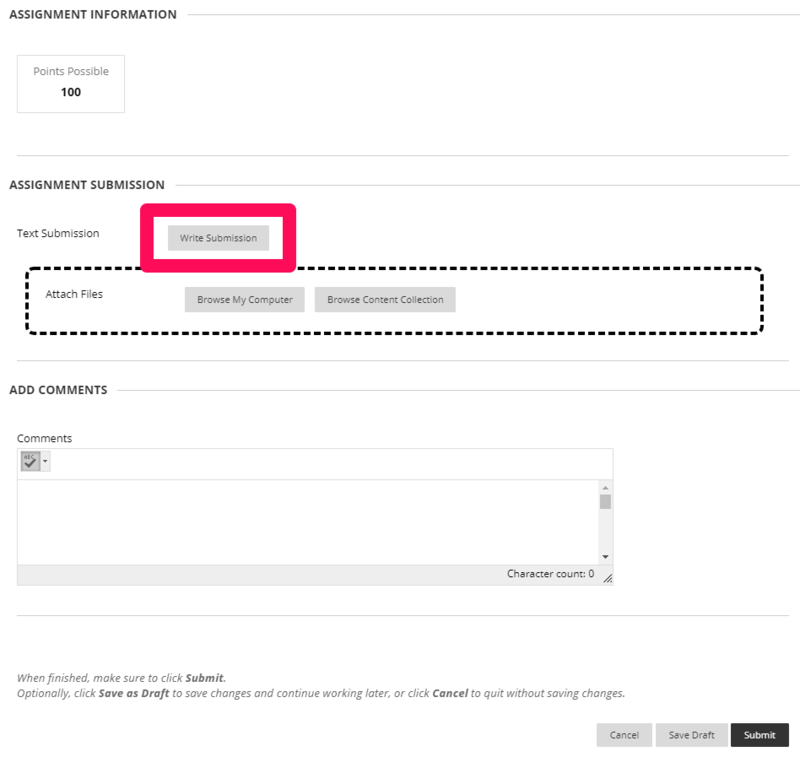 To submit your assignment, click the Submit button – find this at the top and bottom of the Upload Assignment page. This is expected behaviour as the video files are not saved into Blackboard. They are uploaded into Kaltura, a separate system, and then linked to your submission in a similar way to how a website might embed a Youtube video.